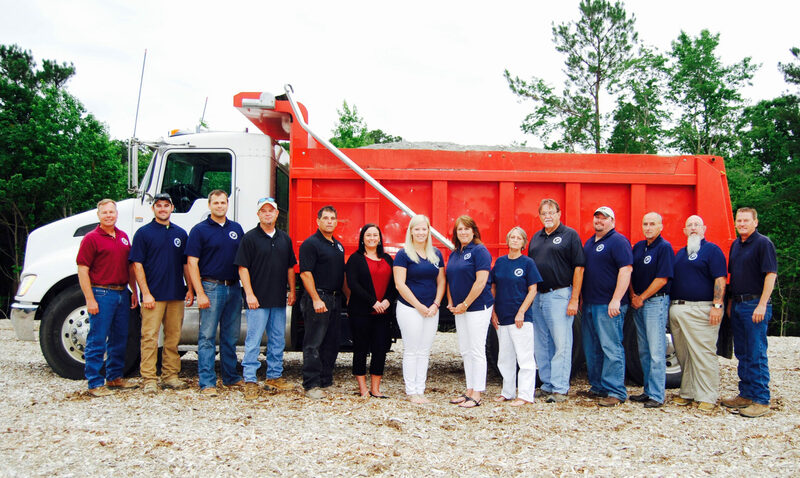 Perkinson Construction, LLC has grown into a full-service utility/site construction provider with 100+ employees. Click the bios below to learn more about our key office and site management employees. Buddy started in construction as a laborer working with his dad during summer break through high school. Over the past 10 years, he has gained experience as a laborer, heavy equipment operator, estimator, truck driver, and now as vice president. In Buddy’s spare time he enjoys boating on the James River and drag racing. Dale joined the Perkinson Construction team in 2003. With his vast knowledge of the site and utility industry, Dale is the guiding force behind each project. Once a project is undertaken, Dale works closely with office personnel, the estimating department, the project manager, and field forces to ensure the project is properly managed and successfully completed. Prior to entering the construction industry, Dale proudly served our nation for 23 years in the United States Army. His vast array of skills acquired during his service include multi-project management, asset management, and effective allocation of resources. Competent Person Certification, Land Disturbance Certification, OSHA Soil Classification and Trench Safety. Chris brings with him 25 years of experience in the utilities field with experience in sanitary and storm sewer, water lines, gas lines, forcemain, and pumping stations. His experience with time sensitive issues and familiarity with both Municipal and State Regulations provides assistance with preparation, negotiation, and contract scheduling. Chris is the primary contact for all pipe jobs. Dale Pollard brings 50+ years of experience in land development. He started as a laborer and has worked his way to site superintendent. Dale has experience in residential work, having his own company for over 12 years in Maryland. He successfully manages total site infrastructure jobs daily, managing over 100 employees. Dale’s hobbies include hot rods and spending time with his grandkids. Hugh attended John Tyler Community College for basic engineering and has 40 years of experience in the construction industry. Hugh worked with Perkinson Construction from 2005-2007, and rejoined our company again in June 2015. Starting as a laborer, Hugh has also worked as an operator, utility foreman, project superintendent of utility projects, and now an estimator. He has gained vast knowledge over the years operating and managing multiple, large jobs simultaneously. He has established rapport with local contractors, suppliers, and inspectors over the years. Cady graduated from Virginia Commonwealth University in 2013 with a degree in Business Administration. Since college, she has gained experience in health care and construction management. Cady works as our office manager, in which she also manages and schedules our residential crews. In her spare time, Cady likes to spend time with her dog, Jake, and boating on the James River. Shayne has been with Perkinson Construction for 9 years and has been in construction for a total of 22 years. He has climbed the ladder over the years, starting as a laborer, then working his way up as operator, foreman, estimating, and project managing. Shayne attended John Tyler Community College and Virginia Tech for Architectural Engineering. He enjoys spending time with his family and is the manager of the Perkinson Construction softball team. Brian has been with Perkinson Construction for 2 years. He manages complex projects from start to finish daily and maintains key client relationships. Brian utilizes negotiation skills and decision-making under pressure to ensure successful project completion. Prior to employment at Perkinson Construction, Brian worked 14 years as an Operations Manager for a company that spanned nine states and covered 600+ customers. Brian’s hobbies include hunting, drag racing, and enjoying time with his family. Alan joined Perkinson Construction in 2016, bring over 30 years of managerial experience with crews ranging from 30 to 300. His job responsibilities require the quality and safety of work, including meeting deadlines through production goals, hiring and holding associates responsible for assigned tasks, adhering to budgetary goals, and responsibility for Inventory of Equipment. Julie Bew has been with Perkinson Construction for over two years and has over 20 years of experience with underground utility sales. At Perkinson, Julie works directly with the project managers and estimators to ensure jobs are started and finished successfully.